In this installment of our new, recurring series taking you behind the scenes, I talk with sculptor Shelley Rappleye, who gives further teases while revealing the creative process behind bringing the Caped Crusader and his adversaries to miniature life. As they on the infomercials, BUT THAT’S NOT ALL! We’ve got plenty more concept art to show off here, too. Hell, we’re just getting started. 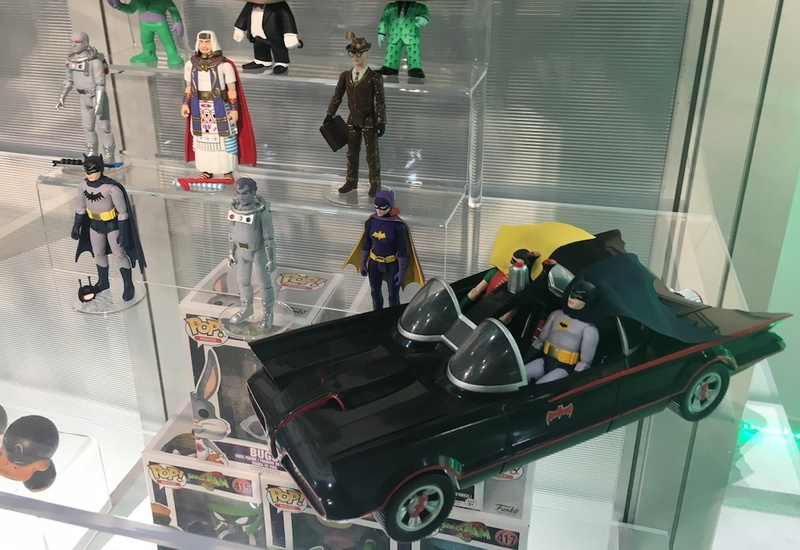 We’ve got more to come in the weeks and months ahead as well, so check out THE FUNKO BATMAN ’66 INDEX of stories, which will be updated routinely. For more info on the line, including prices and availability, click here. Dan: Tell us a little about your connection to the Batman TV show. Are you a fan or was this just another gig for you? Shelley: Until the assignment came to me I was only vaguely aware there was a TV show, but I’ve had a special place in my heart for the movie since my partner showed it to me more than a decade ago. I was so excited after doing more research about the show that I purchased the series for us to watch together. You could say I’m rediscovering the franchise thanks to the project. 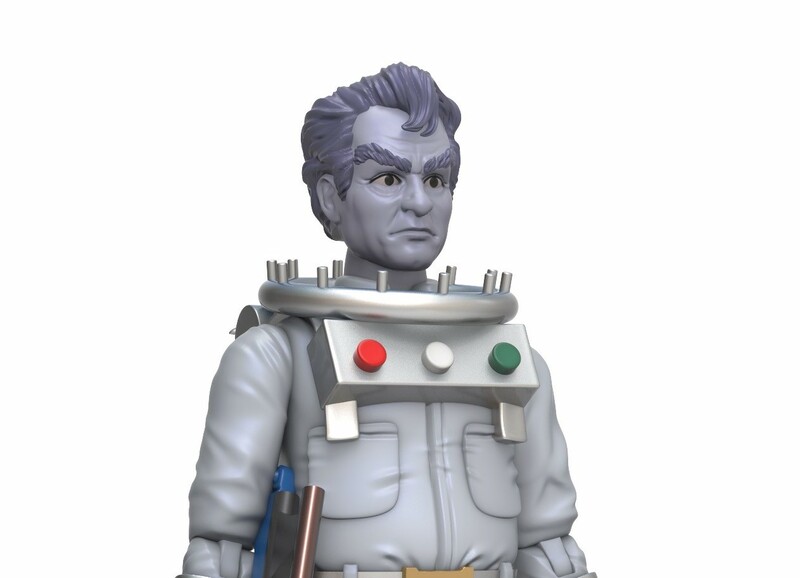 Dan: Turning flesh and blood people into 3.75-inch figures is not simple. Tell us about your sculpting process. Is it all digital? As an example, tell us about the Eli Wallach Mr. Freeze, which is striking at this scale. Shelley: Yes, the sculpting process is done digitally in ZBrush. It is challenging to capture a likeness when you know there will be loss as the figure goes through the various stages of production. Sometimes you have to exaggerate the identifying features a little, just to make sure they’re still visible in the end. I must say though, the samples we’ve seen with this line have hit a new record for quality and preservation of the likeness, thanks to Reis’ careful coaching of the factory. The Eli Wallach Mr. Freeze is one of my favorites. Such a distinctive face, with a specific emotive expression so natural to it, is really a pleasure to sculpt. The hair was particularly tricky; hair always is, but especially so the smaller the scale, and the more unique the style. Dan: Of all the figures in the first wave, which was your favorite to sculpt? 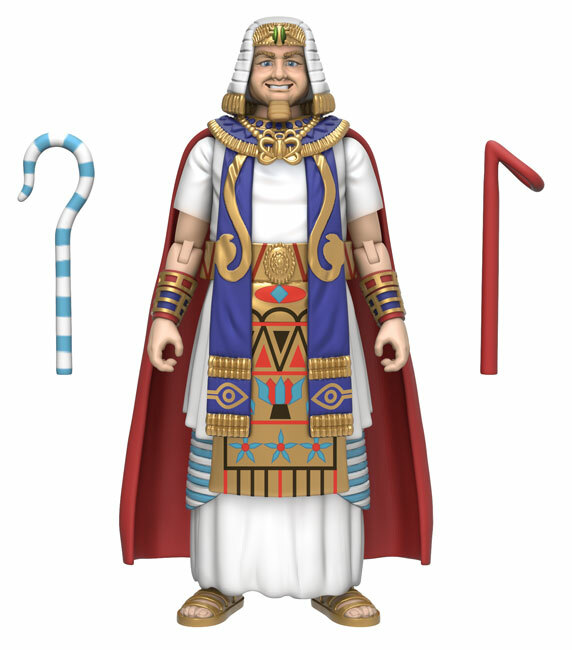 Shelley: I have to go with King Tut. He’s just such an unusual figure and the character overall so ridiculous, that I and my teammates can’t help but laugh every time a revision or sample comes in of that figure. For a villain, he’s brought an inordinate amount of joy to the office over the course of this project. Plus, his elaborate costume was a lot of fun to work on, even though it was difficult to nail down a specific look, since it varies so much throughout the show. Dan: The King Tut prototype is superb. Was this a particularly difficult sculpt? Shelley: Thank you kindly. As a team we are particularly proud of King Tut. He did present certain specific challenges, not the least of which was capturing his giddy expression. As mentioned above, his costume was a little tricky since every instance of him appearing in the show seemed to have some partial variation on his clothing. We had to choose carefully but I’m very happy with the result. Sorting out what materials his various costume parts should be, and how they should be assembled, was also a tricky business. Dan: What’s the biggest misconception fans have about your work? Shelley: Going based on my own misconception before I got into sculpting for physical products: I hadn’t spared a lot of thought to how action figures were designed and sculpted when I was younger. I think there is often a sense of detachment between “products” and “art,” so to speak. As in: If something is a commercial, mass-produced product, it can’t really be “art.” So perhaps it doesn’t occur to folks that artists created these toys and collectibles. The idea of a specific artist’s hand, not just some anonymous entity but a real person (or persons) crafting an object for the enjoyment of the fandom, has become a very special point of pride for me, especially when the characters in question are ones I love too. I think that’s what is really special about our team. We are nearly always as much in love with these characters as any soul can be. I hope that fans discover that sense of connection through this work, too. Dan: Favorite Batman TV episode. Go. 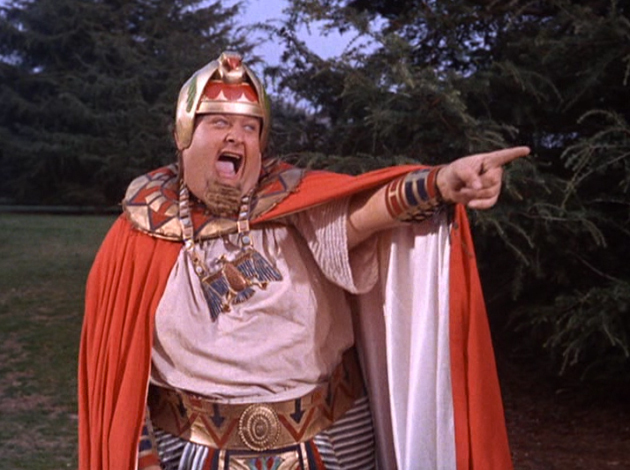 Shelley: I still have many to see yet, but so far I’m very tickled by the episode wherein Batman uses the Batusi dance to thwart King Tut’s mind-control scheme. Dan: Give readers a tease about what they can expect in Wave 2, if you can. Shelley: The most colorful portion of the cast is steeped in villainy, as we know. Fleshing out the nefarious portions of the show’s cast is of particular interest to us. Dan: What one figure are you really looking forward to doing? 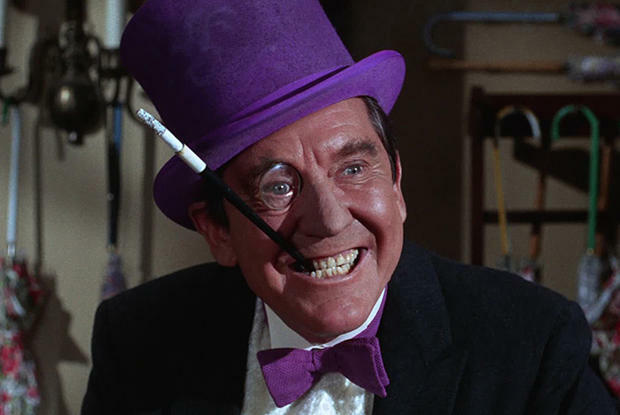 Shelley: Penguin’s toothy, smug smile is at the top of my wish list to sculpt in subsequent waves. Dan: What else would you like people to know? Shelley: I need to give some shout-outs to other artists on our team who helped out with this line. 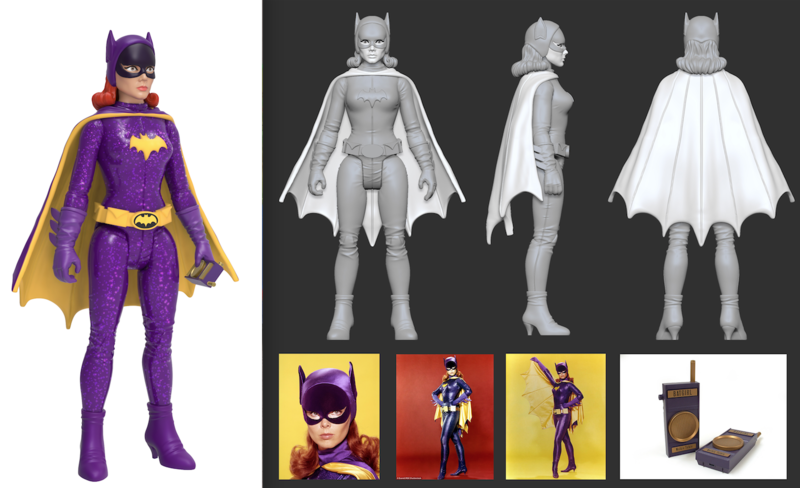 … They are at least as deserving as Reis and I for bringing this project to life: Krista Wade did a phenomenal job capturing Batman himself, the first figure in the line to be completed before the project came to me. Amanda Brock was the artist behind the incredible Batmobile we are launching with this line. What a perfect addition! It really makes the series feel impressive as a whole. And, the incomparable Isabel Anderson, who overhauled our system for articulating our 3.75-inch figures to breathe new life and greater poseability into them. (For example), you can rest Batman and Robin’s elbows on the doors of the Batmobile while they drive around — that’s all thanks to her! NOTE: This interview with edited slightly for clarity. 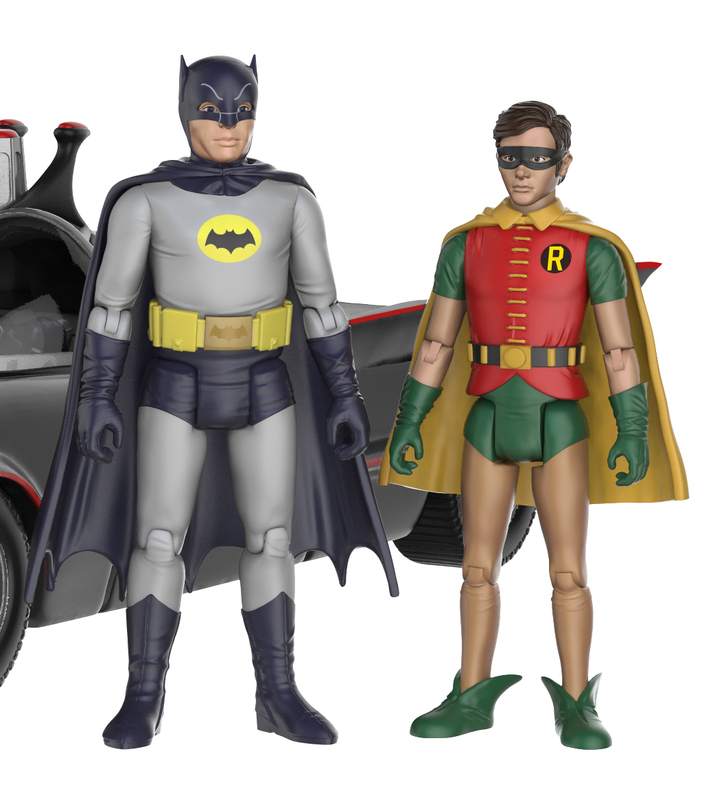 For THE FUNKO BATMAN ’66 INDEX of stories, click here. For more info on the line, including price and availability, click here.